On 23 May our Short Film Night returns for its 6th outing to showcase the wealth of film-making talent we have in Herne Hill. All the films screened have either been filmed locally or made by someone who lives locally. Every year it amazes us how much film-making talent there is in Herne Hill. Expect an eclectic mix of films. We’ve screened big budget sci-fi epics, puppet animations, documentaries about dogs and many more weird and wonderful filmic creations over the years. 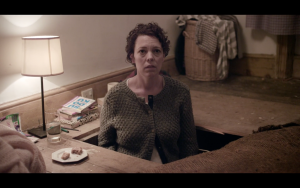 On our first Short Film Night we screened a beautiful short called The Karman Line starring Olivia Colman that went on to hoover up awards all over the world and even got a BAFTA nomination. This year, to celebrate Olivia’s Oscar win, we’ll be screening it again.